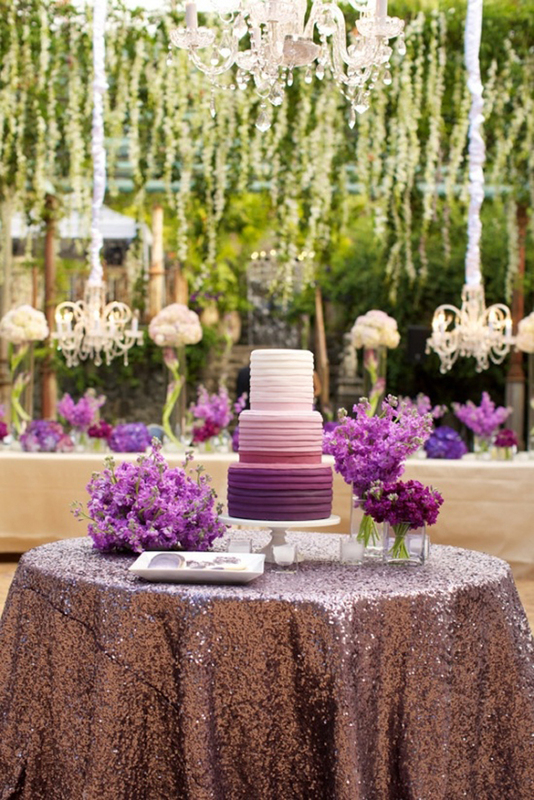 We love the ombre trend for wedding and events! The fade effect that never fails to get people talking is here to stay and recently, we absolutely loved creating a custom ombre flower wall for a client in Australia. 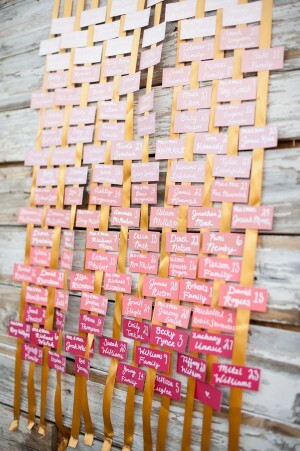 Pinterest is full of gorgeous images inspiring people worldwide on how to work this trend into their wedding or event. What we love so much about ombre is that you can incorporate almost any colors you want and make them look like a seamless heavenly blend of hues. Here are some of our favorite ombre images! With all these gorgeous inspo images around, it’s no surprise to us that we’ve been creating custom ombre walls for nearly four years. (We’re not sure when a trend actually becomes a mainstay, but we think ombre is around to stay!). Our most recent creation has been for a wonderful client in Australia who wanted a deep red/maroon fade into blush in 2.4m x 2.4m – that’s around 8ft x 8ft. How do we begin with ombre? Well we start by sourcing the florals from our group of preferred partners and trusted suppliers. Not being a factory ourselves means we have amazing flexibility when it comes to choosing blooms. 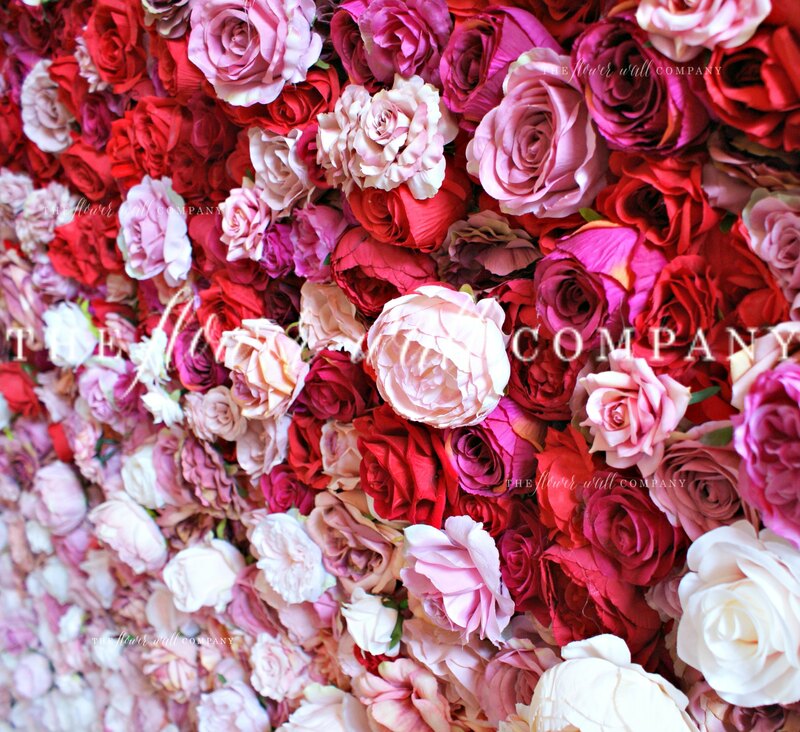 Often we see flower walls created by one factory and they use the same material for a few different designs, meaning no real difference in colors or sizes, which tends to create an unrealistic looking wall. Luckily the colors requested are super popular so even though we didn’t have to custom create the actual pieces, we still sourced 57 different flowers from 16 different suppliers. 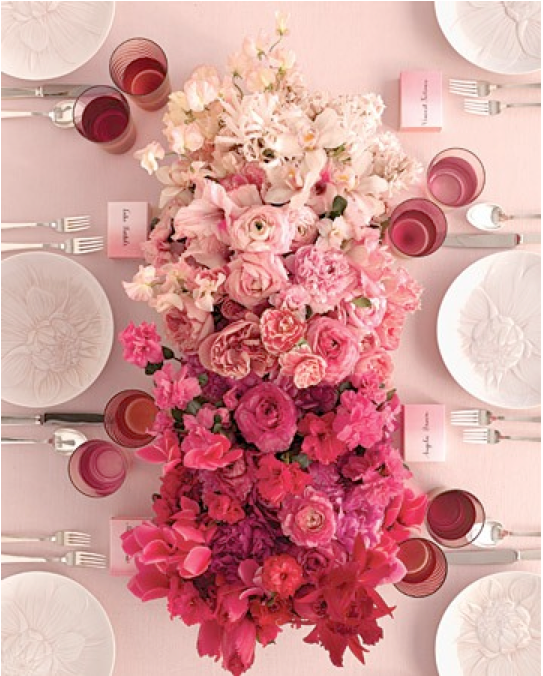 Yes, you read that right, 57 different flowers from 16 different suppliers! Why do we do this? 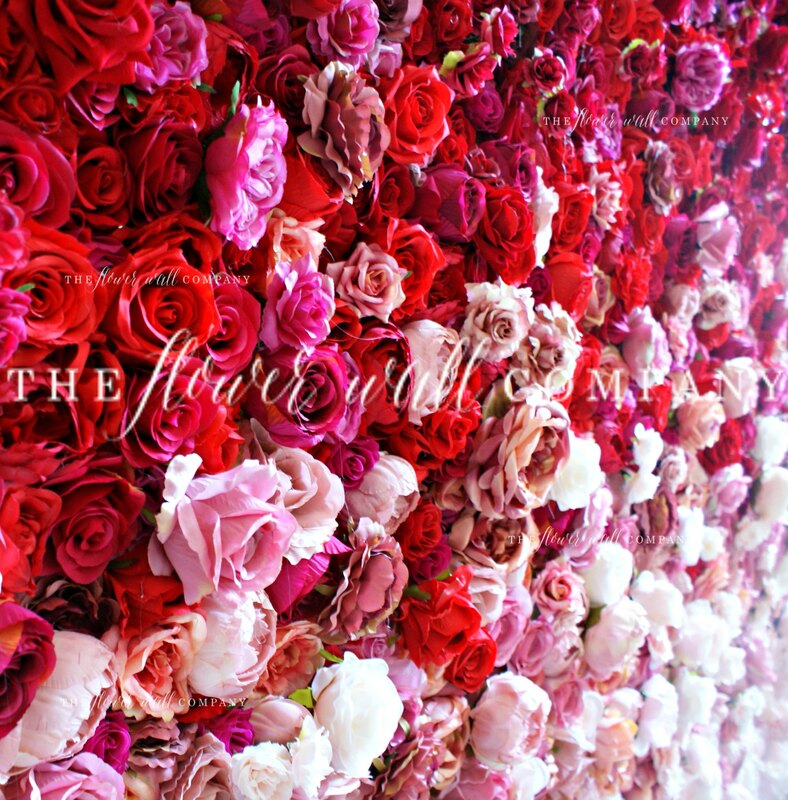 We believe the key to achieving a realistic looking flower wall is in the details, and having so many different blooms to work with instantly creates a more luxe, lifelike, memorable floral backdrop. 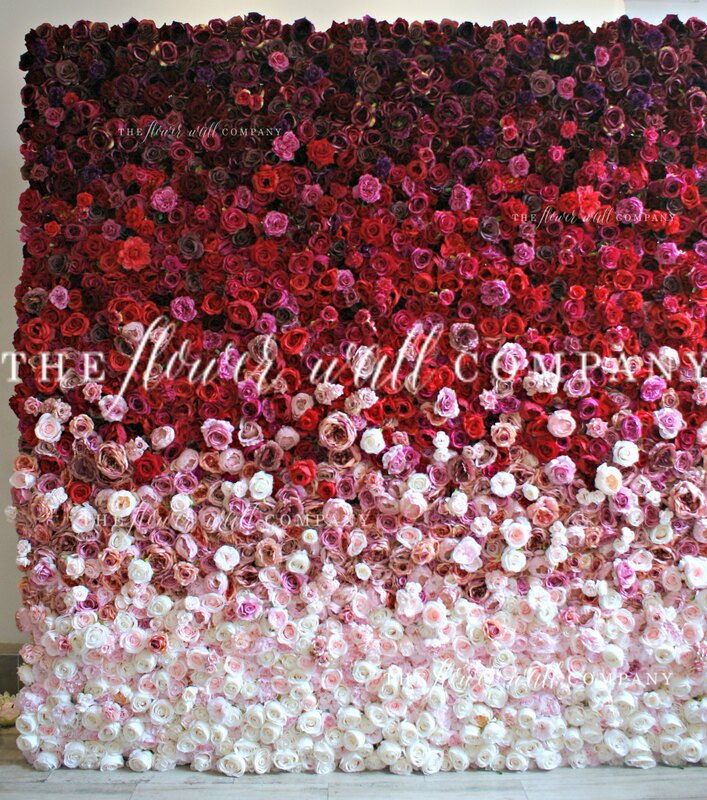 Sorting through the 57 different kinds of flowers and preparing them for the pattern takes longer than a regular flower wall as working on an ombre wall has to be done in stages to make sure you get the fade that the client is looking for. Some people like it subtle, some people like it quite striking, and we are happy to create both types. We don’t sell ombre directly on our online store as realistically we wont be able to create the exact same wall each time, and everyone’s color & flower preference is too different to list all options in one place, so we create ombre walls as custom orders. (A custom order doesn’t necessarily mean a higher price!). Another thing we love about this wall is it’s 3D effect with blooms layered at different heights to make it look realistic and luxe. Gorgeous! If you’re inspired to inquire about an ombre wall, simply visit our website or drop us an email with some information about what you are looking for and we’d be happy to chat through your options!